As the largest mechanical contractor in Tennessee, Lee Company has served businesses and families in the region for over seventy years. 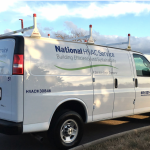 Their experienced HVAC repair technicians, electricians and plumbers serve residential customers while their professional engineers, certified construction and facilities managers lead field personnel in serving commercial customers. As a growing enterprise, Lee Company is always looking for ways to expand their business and improve their quality of service. That’s what led them to XOi.